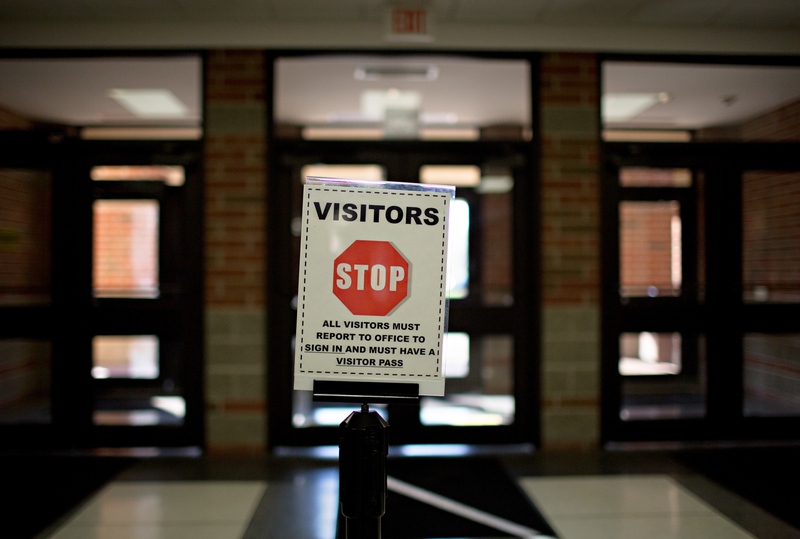 A sign on the front doors of the Sidney High Schools warns about the protection provided at the school. It is anticipated that the signs will 1) warn students and visitors of the proximity of guns while they are in school property and 2) will deter potential mass shooters from entering the school knowing that they will be met with an armed response. 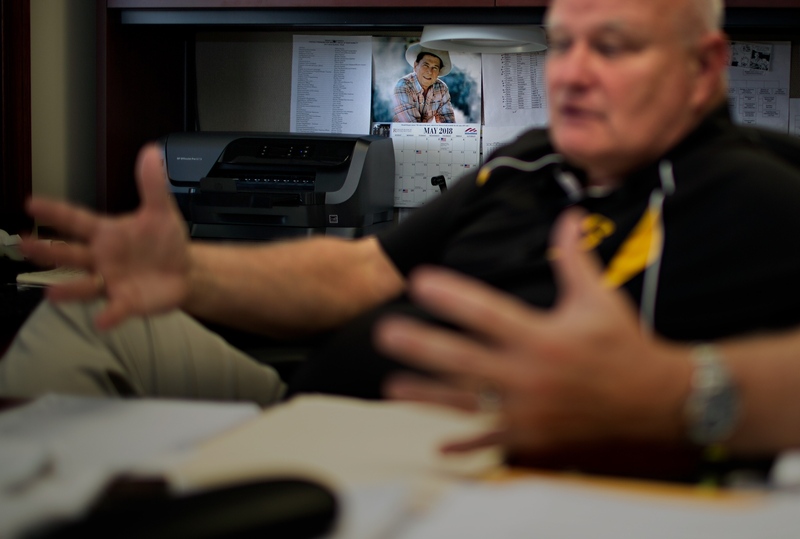 Sidney Schools Superintendent, John Scheu has worked closely with the Shelby County Sheriff to create the program that places guns in Sidney Schools. He says, in an active shooter scenario, every 17 seconds a child is either killed or injured. Further, from the time a 911 call has bee initiated, it takes law enforcement about 3 1/2 minutes to respond--so the logical thing to do is is to reduce the response time it takes to neutralize a threat. 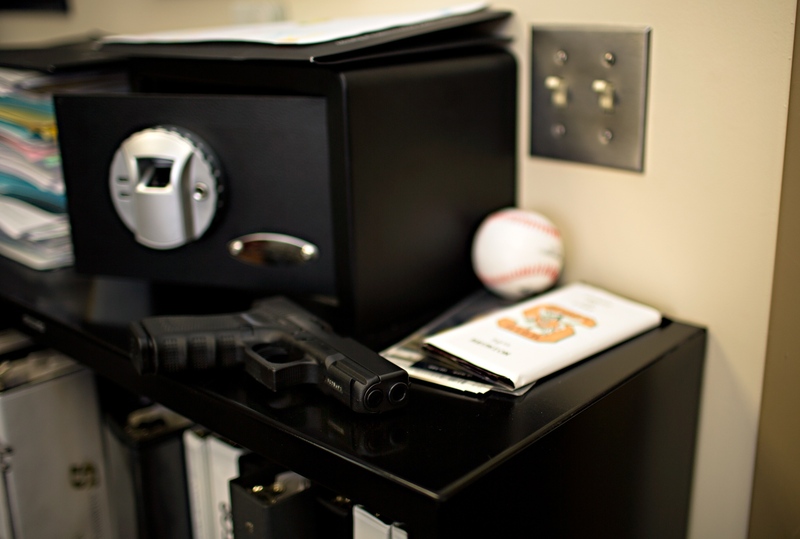 The loaded weapons are kept in bio-metric safes strategically placed throughout the schools. Only specific trained personnel have access to each safe. The identity to the volunteer teachers who are member of the First Responder team is kept confidential. Sidney High School student Haley New says she hates guns and that she will never want to even touch one, but having trained individuals in school with access to guns makes her feel a lot safer. 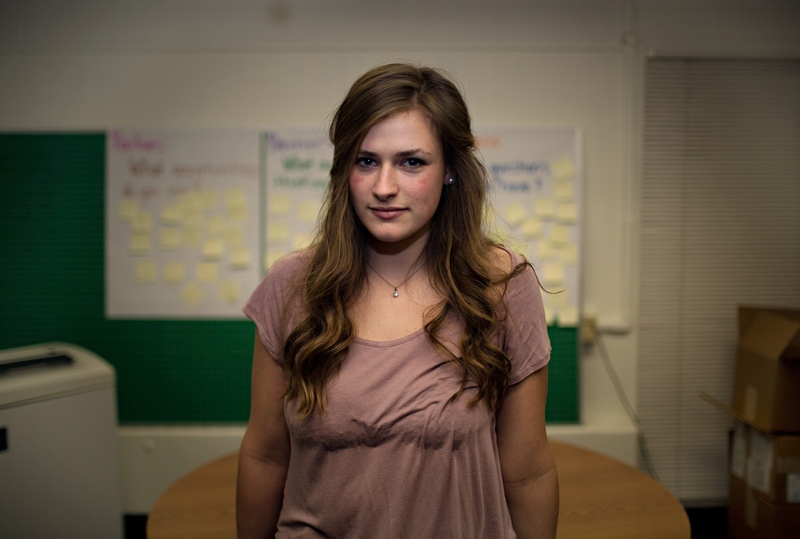 She changed her mind about guns in schools when a nearby school was subject to mass shooting. 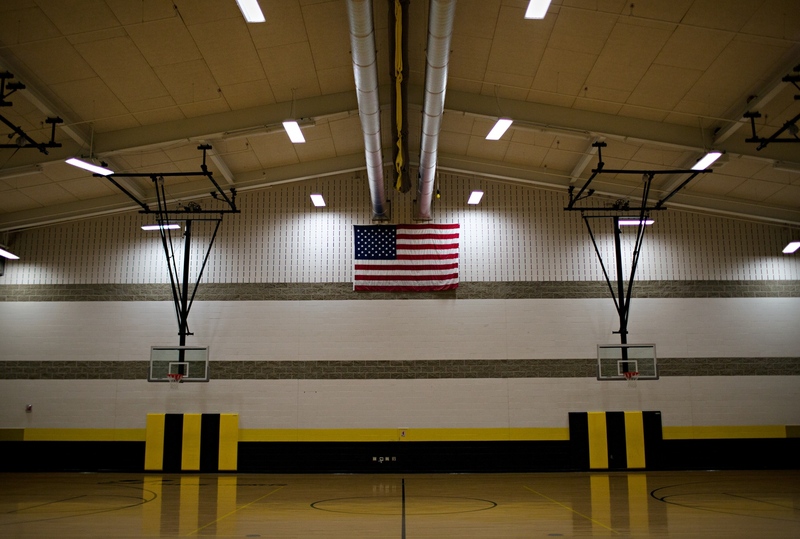 An American flag is proudly on display in the Sidney Middle School's gymnasium. Retired Deputy Sheriff Rick Cron came out of retirement when he was asked to provide on site security for the Sidney Middle School. 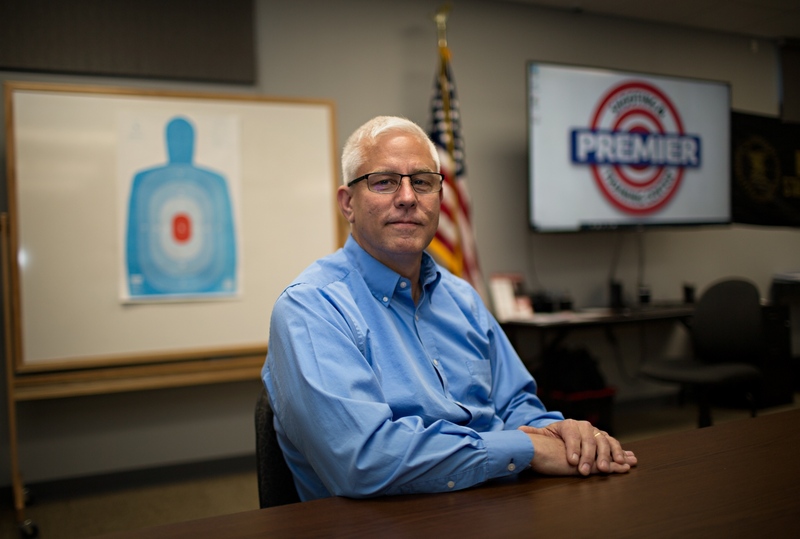 When asked about the possibility of law enforcement responding to an active shooter call to confuse teachers with an active shooter he says it is the law enforcement's responsibility to discern friends and foes in a evolving situation. He is also confident that the tough training provided to the First Respnder teams is going to save lives if any schools in Sidney comes under attack. John Lenhart, Shelby Country Sheriff, says he does not have time to wait for experts and psychologists to figure out why the school shootings are happening-- "This is all I got" says the Sheriff, in terms of trying to save lives by placing guns in the hands of a trained First Responder team. 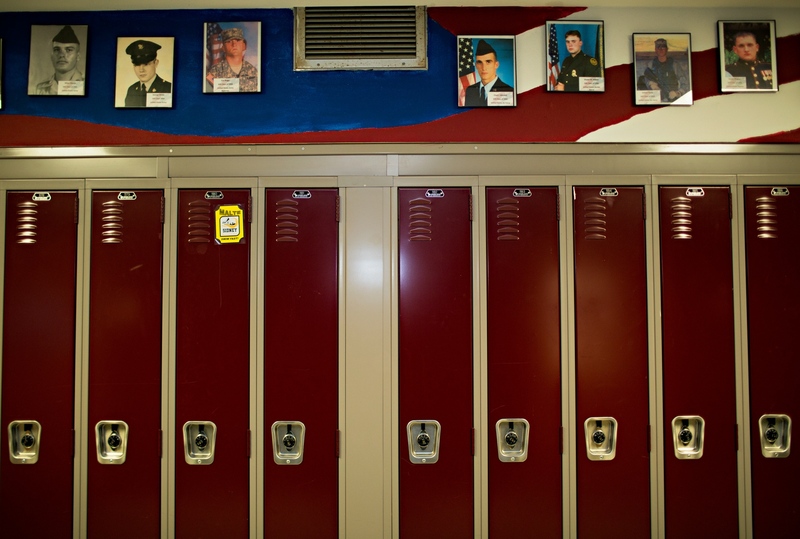 Photographs of past Sidney High School Students who have lost their lives during military combat adorn student lockers. Boys and girls' bathroom keys hang on the wall of the school's gymnasium. Joe Eaton's foundation provides free fire arm safety training to any teacher who asks for it. His foundation is entirely supported by individual donations. He says the National Rifle Association is not on their donor list. 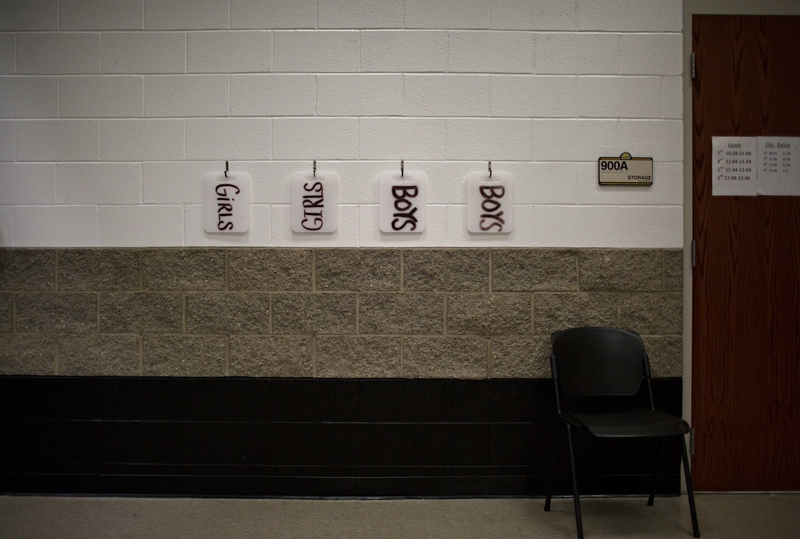 The main purpose of training teachers to use and have access to firearms is to reduce the response time necessary to neutralize an active shooter. Nicki New is a parent of three children in Sidney Schools. 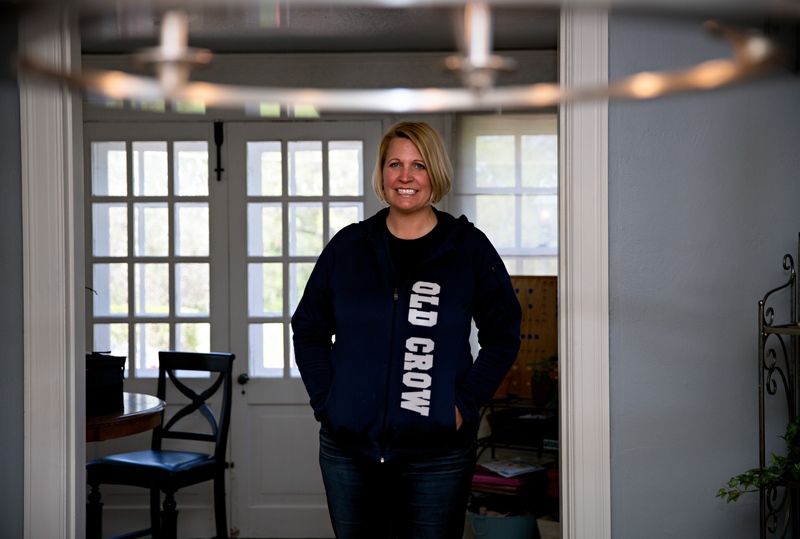 While she was a skeptic of arming teachers at first, but once a nearby school shooting occurred, she changed her mind. 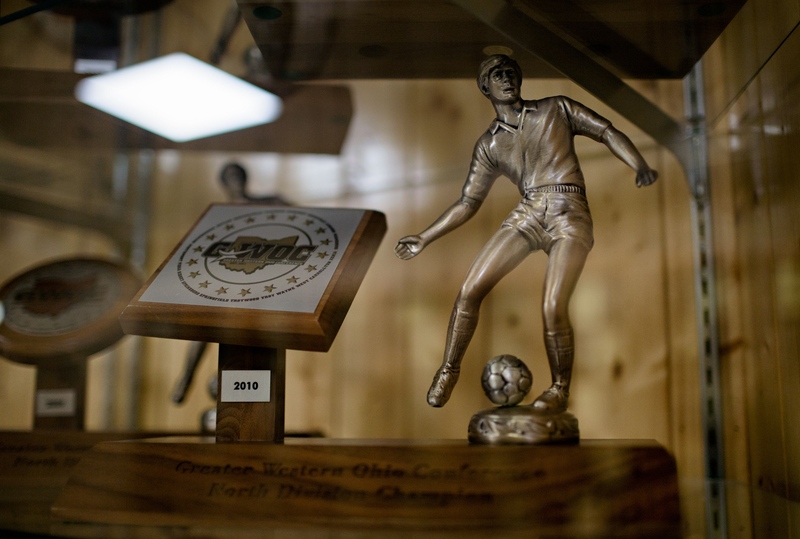 Trophies on display at Sidney High School give all the indication of a normal high school life. 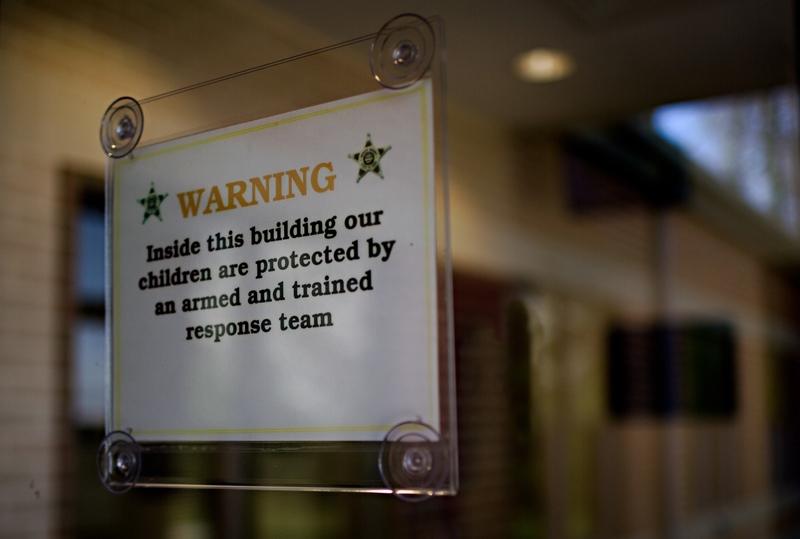 Signage on the front door of the Sidney Schools warns about the protection provided at the school. 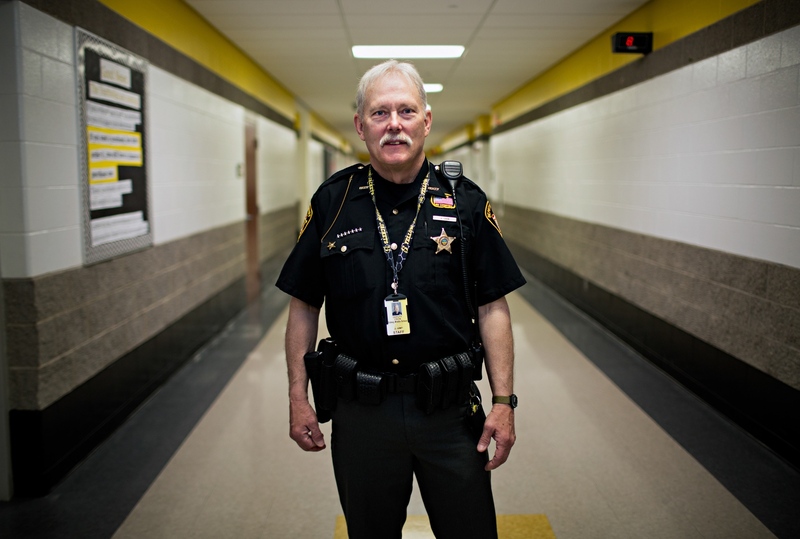 In Sidney, Ohio school and public safety officials have worked together over the last five years to develop an all-volunteer first responder team in all local schools. Although these volunteers are not physically armed with weapons, they do have quick access to guns strategically placed in various hidden spots on school grounds in the event an armed response is needed. 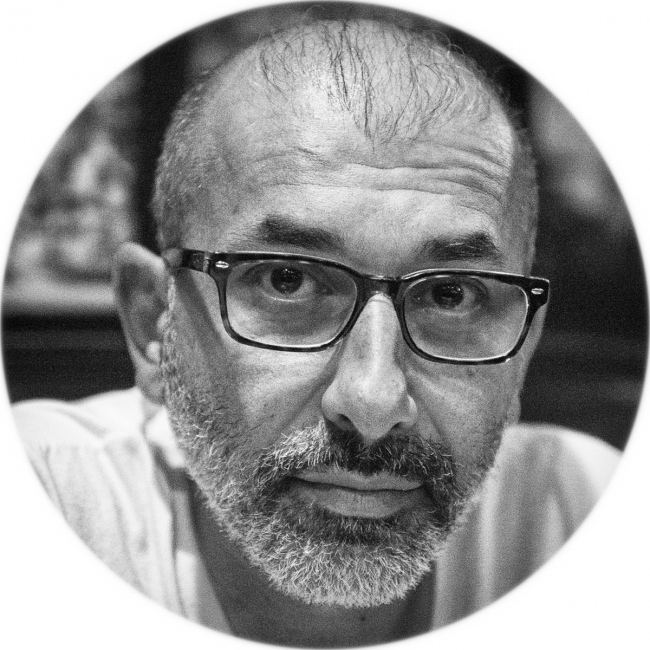 In the spring of 2018, along with writer Alan Cassidy on assignment for Swiss newspaper Tages-Anzeiger, I entered Sidney High School, expecting to meet a bunch of Yosemite Sam looking, gun-slinging, trigger-happy yahoos intent on shooting anything that moves. Much to my surprise, I met a group of people, whose logical and methodical approach to gun violence made me, perhaps not a believer, but one who appreciated their perspective. 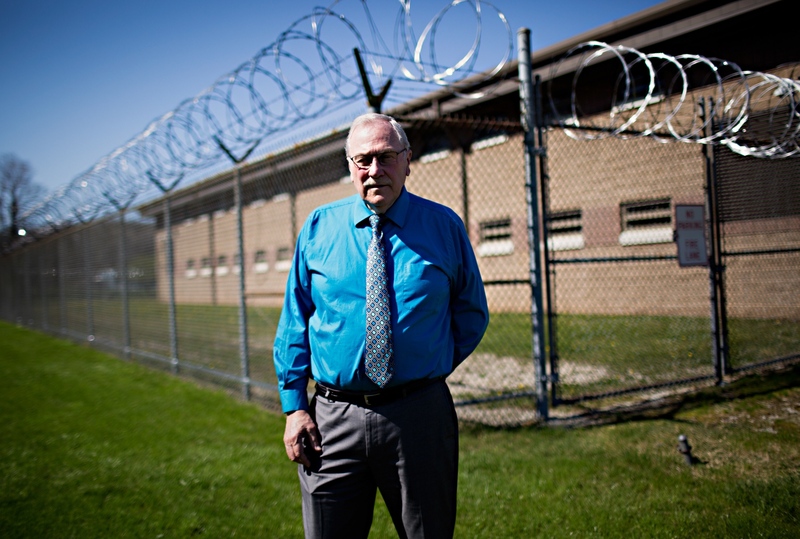 Sidney school superintendent John Scheu, explained it this way: It takes 3½ to 4 minutes for law enforcement to arrive on the scene once a 911 call has been placed. This is in addition to the time it takes for those under attack to find a refuge, calm down and call 911 for help which means significant time has elapsed before a distress call is ever made. An armed attack kills or injures a person every seventeen seconds. Thus a reasonable approach is to develop a means of cutting the response time - making it significantly shorter by placing the means of reaction on the premises and train volunteers to use those weapons. The Shelby County Sheriff, John Lenhart, said it even more succinctly: “I don’t have time for politicians and psychologists to figure out why we have an epidemic of gun violence.” Instead, his focus is on ensuring a shooter is neutralized in the shortest time and with the least number of casualties possible by training a volunteer team to use weapons to defend the children under the care of the school system. The process they devised is rather simple. Volunteers submit a confidential application to be part of the First Responder Team to the superintendent of the schools. The superintendent then reviews the applicants and select candidated are chosen to undergo a rigorous training program. The Sheriff is quick to point out that the training is more rigorous than the actual training provided to his deputies. Those who pass the training program become members of First Responders. Additionally, the identities of the volunteers and the location of the guns in the schools are kept secret and they participate in monthly training practicing various scenarios. In the end, my prejudice about the sort of people I was expecting to see turned out to be just that: an unfounded prejudice. What I saw was rather, a group of concerned educators trying to do their best to provide a safe and secure space for children to get an education, despite the gun laws and political atmosphere we currently live with. Unfortunately, sensible gun laws will not happen anytime soon and the National Rifle Association’s (NRA) will continue to buy power in our communities and political system. By Nima Taradji Photography — Baltimore, Maryland was the scene of civil unrest in April and May 2015. It all started with the evidently unprovoked death of a young black man,..